Carpet cleaning can be scary when you don’t know what to expect. There are so many carpet cleaners to choose from that picking the right one can he a bit of a headache. Not only is picking the right carpet cleaner scary but also not knowing if they are taking you for your money and not knowing if they are going to do the job right. Well here is some advice when trying to pick out the right carpet cleaning company for you. Always make sure that the carpet cleaning company has a legitimate website. View all the carpet cleaning information available before calling in. Find any reviews that may be available and read them. Some companies are known to hire companies to write fake reviews or they write their own reviews so be sure to read them. The reviews should be different and sound real. If you are a bit skeptical do not bother calling that carpet cleaner. Be sure to verify the price of carpet cleaning and what is included. Some carpet cleaners offer cheap prices and promise it will come with this and that but when they show up the story changes. This is another reason why you want to read those reviews. If the carpet cleaner is offering a ridiculously low price then chances are it is not the carpet cleaning you are wanting. Also, when verifying the price be sure to ask if there are any other charges besides the carpet cleaning price. Some carpet cleaners charge unexpected fuel fees or hidden charges that they did not explain over the phone. 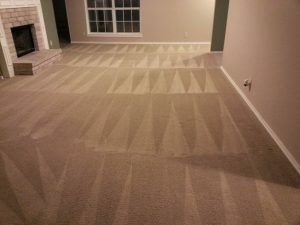 Beyer Carpet Cleaning in San Antonio is a professional carpet cleaning company with a legitimate website. They have 5 star reviews from actual customers across the internet from Google to Facebook to Yahoo to YP. Their prices are stated on their website so you how much it cost for carpet cleaning. There are no hidden charges or fuel fees unless you live so many miles outside the city limits of San Antonio. The fuel fee is discussed over the phone so the customer is aware. Beyer Carpet Cleaning is properly insured so if anything were to happen while in cleaning your home you are covered. Give Beyer Carpet Cleaning a call today (210)723-4392 and skip all the headaches and scariness.